Traveling with your electronics can be cumbersome and quite a drag. Finding the right bag that can keep all of your belongings organized and safe without sacrificing space and breaking your back may seem too overwhelming and confusing. 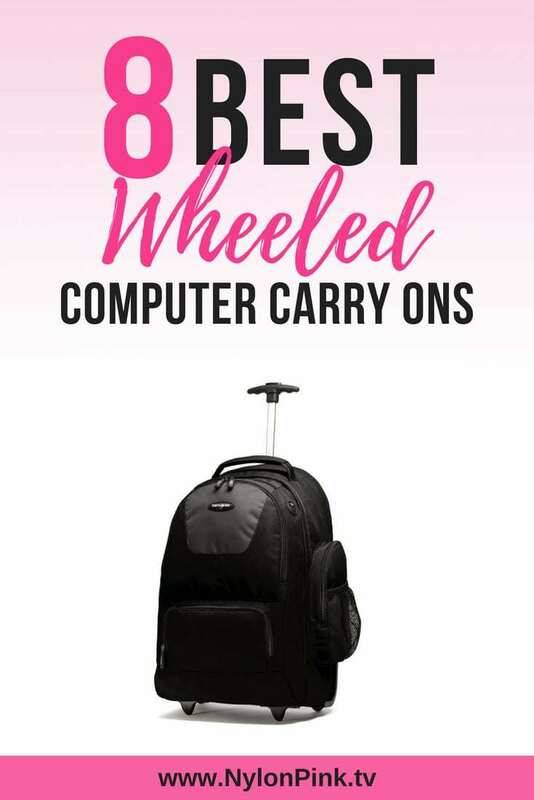 However, we found some of the best wheeled computer carryon backpacks on the market that will make your next travel plans with your favorite electronics a breeze. If you haven't heard of the company High Sierra, then you must be living under a rock. This household name not only represents quality, but also delivers. 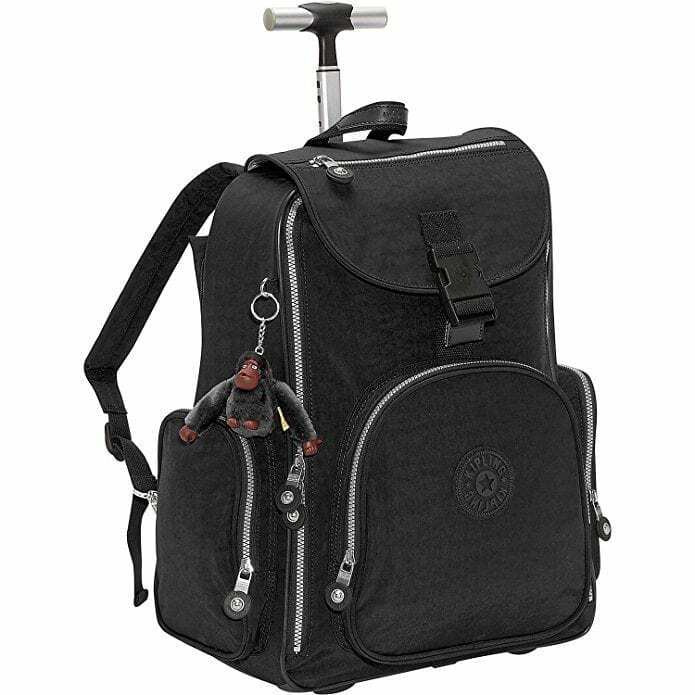 When it comes to a balance of affordability without sacrificing great make, this is the best wheeled backpack that does just that. This backpack has three differen compartments for your organizational pleasure. The front pocket can fit all of your important items that you need to access like your wallet, keys, and passports. The main compartment can fit laptops up to 15" snugly and keeps all of your precious electronics safe and secure. The this smaller pocket can fit your phone as well as any CD players when you're waiting for your plane to arrive. 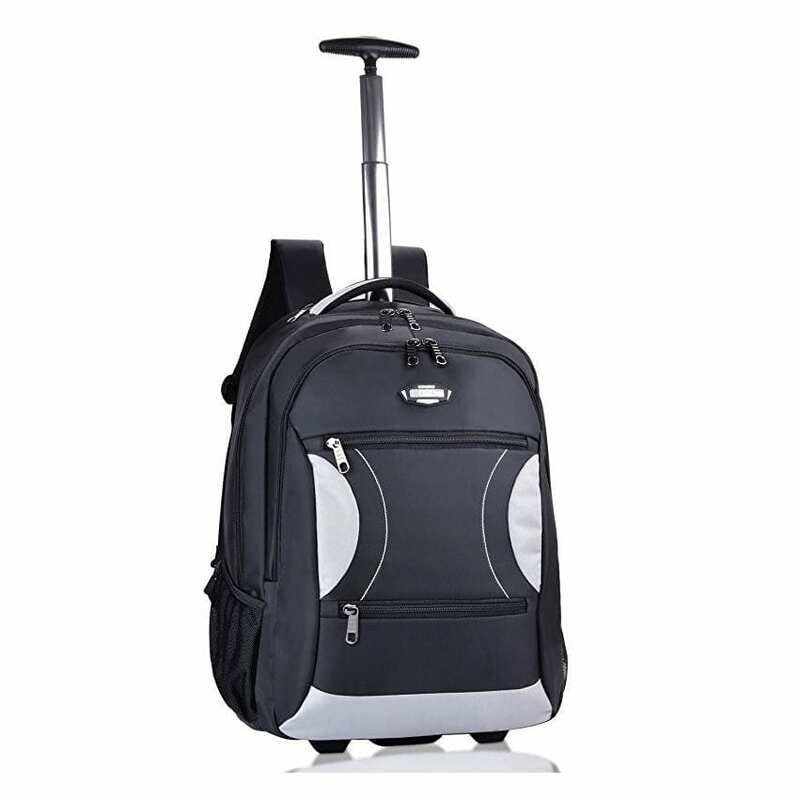 Overall, this wheeled backpack is top of the line when it comes to traveling for work. We know you will love this product! For those of you who are a little more rugged, this is the perfet bag for you. If you generally find your self a little more clumsy than the average bear, this bag is backed with a Targus limited lifetime warranty, guaranteeing you functionality with your bag for life. That also means you can test the bag for free. If it doesn't fit your needs, you can easily retrn the product. With a guarantee like that, it goes to show that the quality of this product is supreme. If you're wielding a laptop that's 17" of fury, this bag can easily accommodate your electronics and ensure their safety on your next trip. Also, the telescoping handle is easy to access and put away when you're on a busy flight or walking down long airport walkways. In the end, this bag is one of the best on the market, making your next work travels a breeze and ease at mind. Fans of electronics, this is the perfect carryon backpack for you. If you're the type that can't live without their handheld electronic devices, this bag has a pocket and designated place for each of your items. Not only does it accomodate laptops up to 15", it also has a special pocket for your tablet, cables, and chargers. If you are a student, this bag also has a front zippered pocket that fits all of your pencils, calculators, and academic tools. Also, there are multiple elastic fastener straps that keep your belongings in place when on the go. The telescoping handle slides seemlessly on those days you just want to give your back a break from the weight. In conclusion, this is an excellent product for those who need a little extra organziational space on the go. 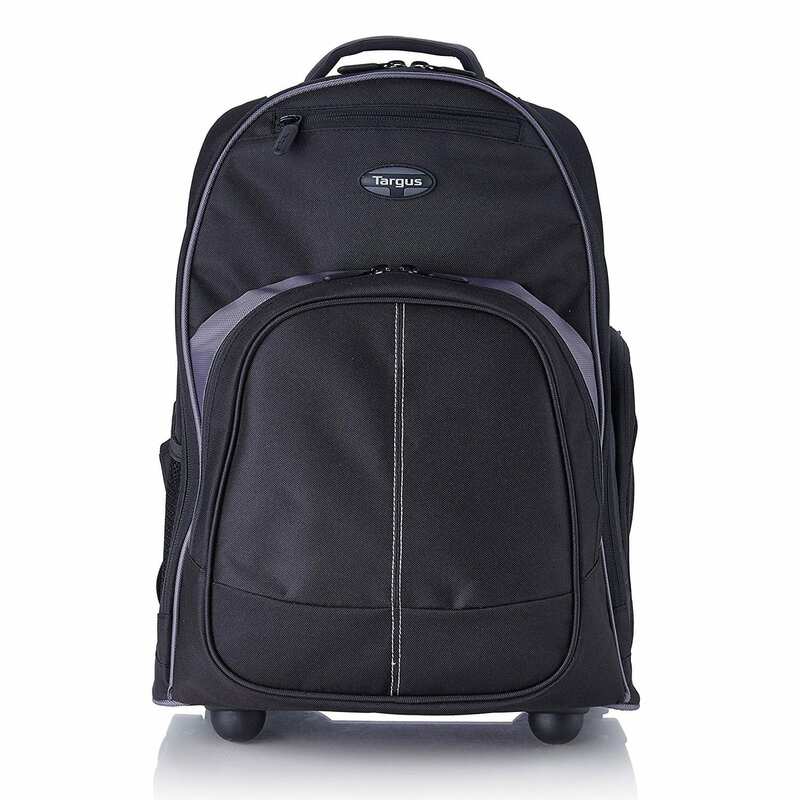 Take your work on the road with this beautiful Kipling Alcatraz Laptop Wheeled Backpack. If you're a fan of simplicity, this is the right bag for you. Made form 100% crinkle nylon, this bag has a unique texture that will surely last through some of the grittiest adventures. This bag can accomodate laptops up to 15" in the main compartment laptop sleeve. Also, there is a telescoping multi-stage handle with stopping button that can be easily accessed on the go and replaced in tighter areas. There are two outer zippered pockets which allow you to put electronics and other quick accessible items like passports, keys, and wallets on your next travels. 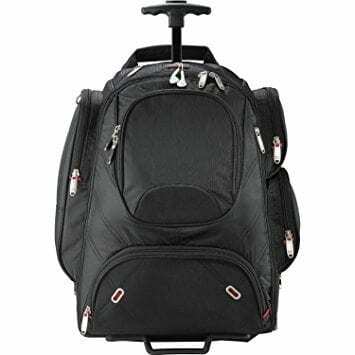 We LOVE this rolling laptop backpack and we know you will love it too! Got a 17" laptop and need a little extra wiggle room in your carryon? Elleven's rolling convertable laptop bag accommodates laptops up to 17" with a removable laptop sleeve that fits snug in the backpack. This TSA friendly bag allows you to bring even your hulk of a laptop on your next adventure. Not only does it protect your laptop, but it also has many zippered compartments for all of your favorite electronics to be stored. There's even a handy top zippered headphone compartment where you can listen to your favorite music on the go. The handle telescopes smoothly when you need to use it to prevent backpain. In the end, we know you'll love this convertable laptop backpack since it will accomodate for all of your electronic travel needs. Want a cool carryon rolling backpack that will keep your precious electronics safe even through some of the most turbulent adventures? Well, we got the backpack for you. 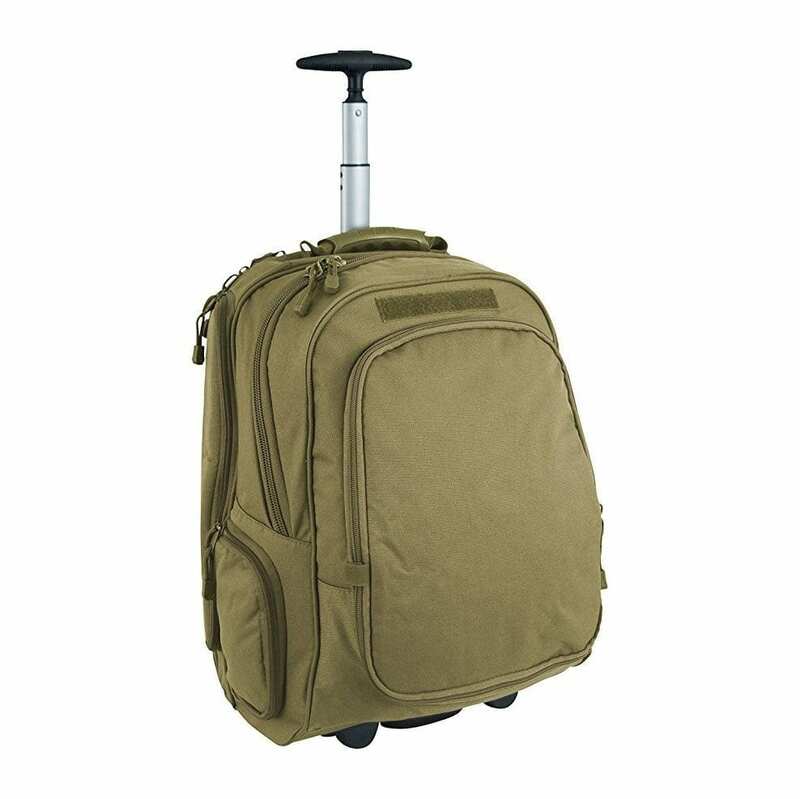 This uber-strong rolling backpack is made from ultra-durable nylon that not only protects from wear and tear but is also water resistant. This bag also utilizes extra large wheels that are shock absorbant, saving your laptop from jiggling around when rolling in aiport terminals. There's also a shield and tuck away strap system that allows you to remove the backpack straps when in use, and hide them out of the way when in rolling mode. We highly recommend this backpack since it has many zippered storage compartments and keeps your electronics safe for a great affordable price. 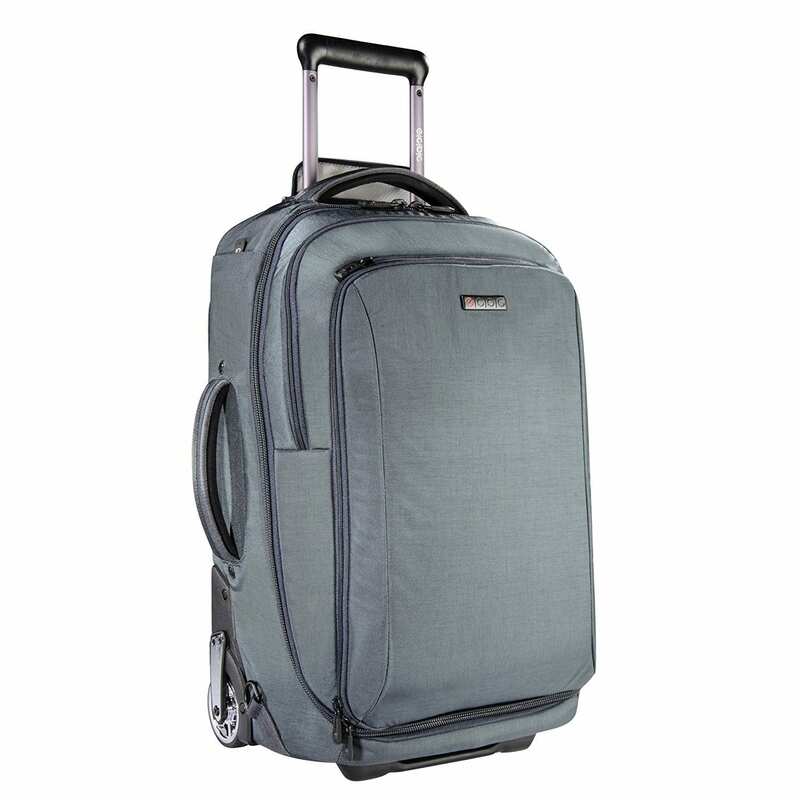 Need a bag that will serve as a carryon backpack and also a wheely companion? This is the perfect bag for you. The Mercury wheeled laptop bag is a dual-convertable bag that can be transported as a backpack on stuffed flights and also wheeled throughout terminals. It's the perfect balance of both worlds in one luggage. 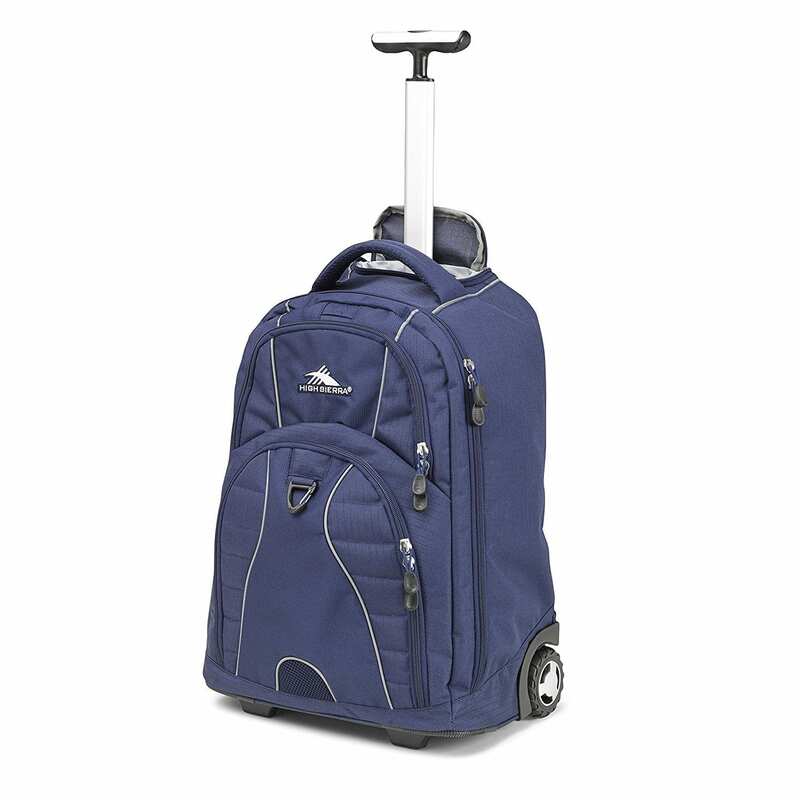 This rolling backpack is made from the stronged polyester, preventing from unexpected tears and rips on your journey. Hidden straps also allow for easy exchange of mobility while walking down crowded airplane aisles. There's a large main compartment that fits laptops upt 15" as well as a smaller compartment that fits all of your cables, cords, and plugs. All in all, this product gets the job done, allowing you to transport all of your electronic needs seemlessly on your next travel experience. If you're looking for a carryon bag that can house all of your travel needs in one go, look no further. 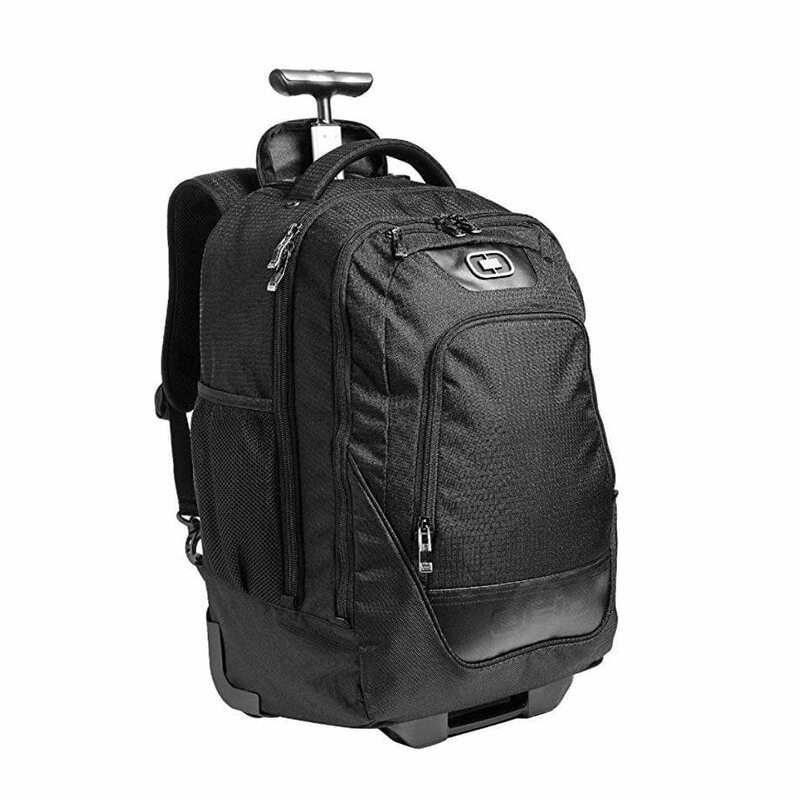 The ECBC Pegasus Convertible Wheeled Backpack has the ability to act as a safe place to store your electronics and also as a spacious carryon bag for your next travel adventure. Designed for laptops up to 15", this bag has padded inserts that can adjust depending on the size of your laptop or tablets. It also includes one 4000 mAh portable charger, so you can keep your devices fully juiced no matter where you are in the world. Also, the bag is completely TSA friendly, allowing you to keep your bag open exposing your electronics when going through security checkpoint without having to remove them from your luggage. Overall, we love this product because of its versatility, quality, and compatability with various electronic products. Take the Purina ONE® 28-Day Challenge!